Insect repellents are available in various forms and concentrations. Many skin preparations are available, mostly containing di-ethyltoluamide (DEET). DEET has been proven to be the most effective in preventing mosquito bites so it is the repellent of choice in areas with diseases such as malaria and dengue. For those allergic to DEET, alternatives include Dimethyl Pthalate (contained in ‘shoo’) or Eucalyptus oil (contained in ‘Mosiguard’). Are there different forms of protection? Aerosol and pump-spray products are available which are suitable for treating clothing – if using these on skin it is best to spray liquid onto your hand and then rub onto exposed areas. Liquid, creams, lotions and sticks are designed for skin application. 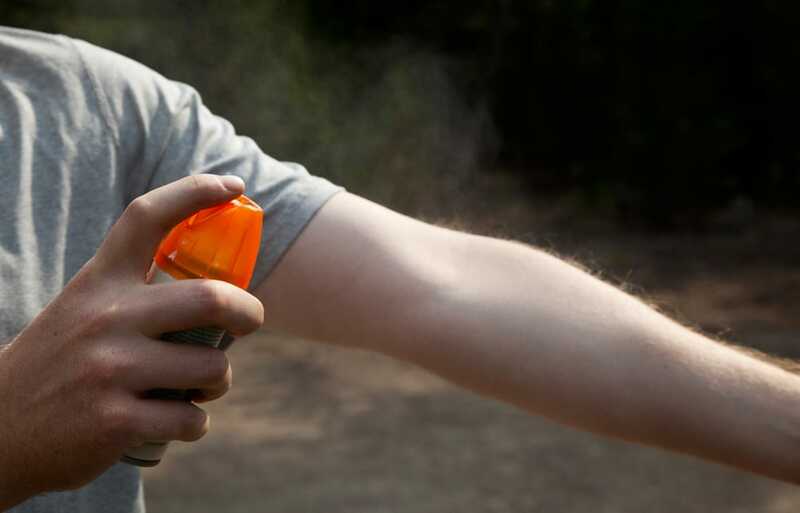 DEET within products is measured in concentration levels, for example 50% DEET, the lower the concentration of DEET the less effective the repellent will be. Products that contain DEET should be used with caution when applying to clothes as it can damage some materials or fabrics. If you are applying DEET products to children, then it should be applied with adult supervision. Products with a lower concentration are usually used on skin (30 – 50%) and higher concentrations (100%) on clothes. Once you have chosen the right repellent for you, you need to ensure you use the item safely! There are many different ways to repel insects and mosquitoes. Clothes are the best protection – normally only use repellents on the remaining exposed areas of skin and shirt collars and cuffs and the ankle bottoms of trousers or slacks. Never use repellents over cuts, wounds, or irritated skin. Don’t apply to eyes and mouth, and apply sparingly around ears. When using sprays do not spray directly onto face; spray on hands first and then apply to face. Do not allow young children to handle repellents – they may get them into their eyes. Apply to your own hands and to the child’s skin. For children, use clothing as the main barrier and repellent only where necessary. Use just enough repellent to cover exposed skin. Heavy application is unnecessary. After use, wash treated skin. This is particularly important when repellents are used repeatedly. If you suspect that you or your children are reacting to an insect repellent, discontinue use, wash treated skin and then contact your doctor. When in doubt, always follow the manufacturer’s instructions.